Jurors are the heart of the judicial system in the United States. In all serious criminal cases, defendants are entitled to a trial by a jury representative of the defendant's community. Many civil cases also include a right to a jury trial. All U.S. citizens are qualified for jury service if they are at least 18 years old, are residents of the jurisdiction in which they have been summoned to serve, have had their civil rights restored if previously convicted of a felony, and have not been determined by a court to be mentally incompetent or insane. Arizona has pioneered many successful jury reform measures, such as jurors being allowed to ask written questions of witnesses in the court; jurors being allowed to discuss evidence (in civil cases) during the course of the trial; juror note taking and juror notebooks in lengthy or complex trials; and supplemental pay for long trials. Prospective jurors may be called for service by a Justice of the Peace Court, a Municipal Court, or by the County Jury Commissioner of the Superior Court. The Final Report and Recommendations (2002) of the Arizona Supreme Court Ad Hoc Committee to Study Jury Practices and Procedures consists of 15 specific recommendations applying to jury management and administration. The committee believes the Judicial Branch has a responsibility to improve every aspect of its jury system. Accordingly, each recommendation was formulated with the aspiration of improving jury service for all of Arizona's citizens. In the committee's deliberations, consensus on all issues was reached. 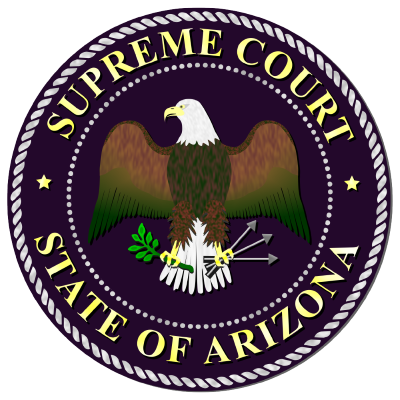 Supplemental Report Concerning Jury Anonymity (2003) also written by the Arizona Supreme Court Ad Hoc Committee. Jurors: The Power of 12 (1994). This report takes the form of 55 specific recommendations touching upon the entire process in which jurors are involved, beginning with the subject of source lists from which potential jurors' names are taken and ending with the need for post-verdict debriefings of jurors following unusually stressful trials. Jurors: The Power of 12, Part Two (1998). In late 1996, about two years after submission of its original report on jury reform, Jurors: The Power of 12, and one year after the Arizona Supreme Court's adoption of several new rules affecting jury trials, the Committee on More Effective Use of Juries was reconvened to consider additional issues.